I noticed a few businesses that I follow on Instagram posting that their reach was being limited to 7% of their followers and then asking everyone to like and comment on their photo. I am, by no means, not a master of Instagram. However, I know a social media false info campaign when I see one and so I just kind of continued liking what I like and commenting on what seems interesting. 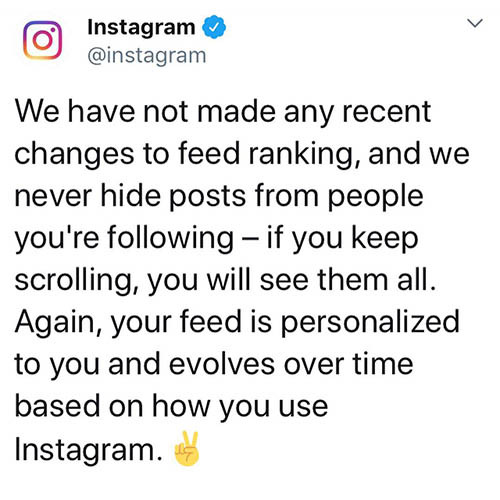 Yesterday, Instagram had seen enough to where they felt like they needed to address the situation. They did so on Twitter, which seemed kind of odd to me, but – hey, whatever. 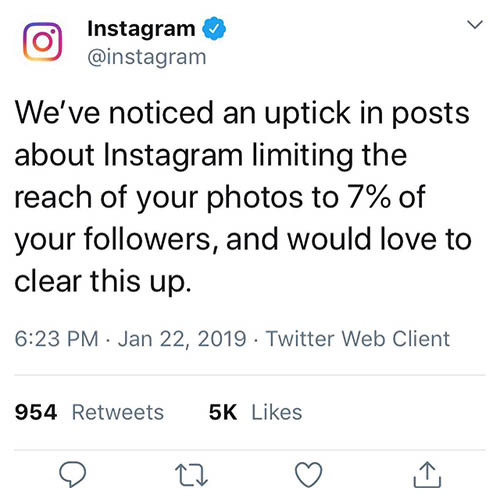 “We’ve noticed an uptick in posts about Instagram limiting the reach of your photos to 7% of your followers, and would love to clear this up. In short, yes, there’s an algorithm, but it is primarily influenced by how much our followers engage with us. In other words, people don’t see our posts because we’ve not had a lot of interaction in the past. In other other words, our posts are lame. The solution isn’t to ask people to comment and like… well, maybe that can be part of it, but really we should be creating compelling content that followers will want to engage with. What exactly does that look like? That’ll be a post coming up here in the future. 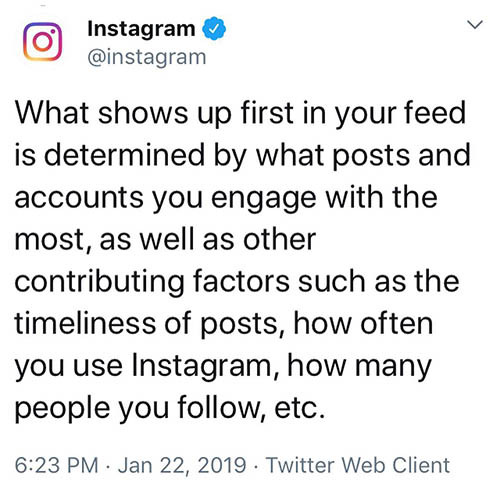 However, I’d love to hear your suggestions if you’ve got methods that have worked well for you or you have good examples of Instagram accounts that do this sort of thing well.